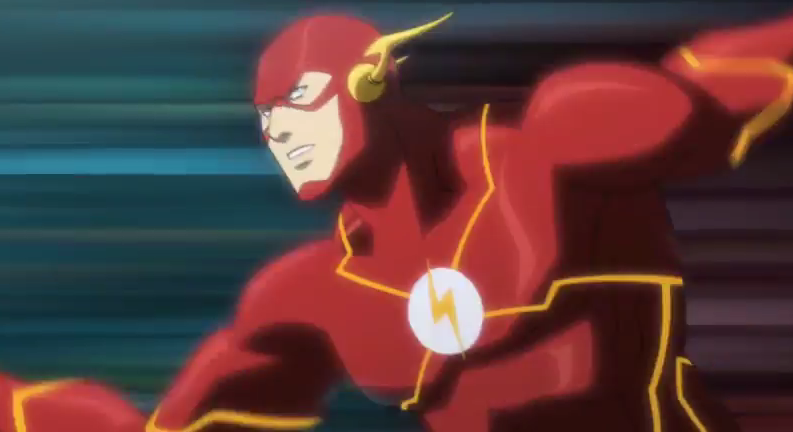 Ever wondered what the live-action show The Flash on the CW would look like with an animated intro? Well, YouTuber Bighead910 did and edited together animated clips of the Scarlett Speedster to match up with the narration from Grant Gustin. Check it out! This is an animated intro of the 2014's live action series debut of The Flash TV show that is currently airing on the CW that I made. I used clips from mostly Justice League: The Flashpoint Paradox, one from the second season of Young Justice and one from Justice League: Doom. I tried to keep other characters out of the intro as much as possible since, at the time of the making of this video, the Flash TV show is still expanding it's roster with heroes and mostly villains. I made this video with Wondershare editing software. And rendered it in 60 FPS with Sony Vegas 10. Big ups to Brian Perry Edwards (you can follow him on Facebook) for giving me the editing software and my friend Frantz Jerome of the Peace Poets, also on Facebook. Finally, big ups to the Spider-Man Wiki, as that is my second home and a wiki I am trying to expand! Please come on over! Please enjoy, rate, comment and subscribe! Thanks for sharing my video! I hope everyone enjoys it, likes and subscribes!